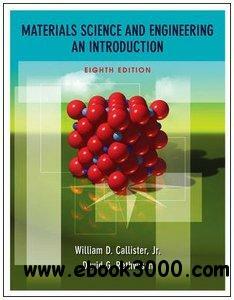 Materials Science and Engineering: An Introduction, 8th edition - eazydoc.com | Free eBooks Download - EBOOKEE! Posted on 2014-01-04. By anonymous. Building on the success of previous editions, this book continues to provide engineers with a strong understanding of the three primary types of materials and composites, as well as the relationships that exist between the structural elements of materials and their properties. The relationships among processing, structure, properties, and performance components for steels, glass-ceramics, polymer fibers, and silicon semiconductors are explored throughout the chapters. The discussion of the construction of crystallographic directions in hexagonal unit cells is expanded. At the end of each chapter, engineers will also find revised summaries and new equation summaries to reexamine key concepts. No comments for "Materials Science and Engineering: An Introduction, 8th edition - eazydoc.com".